Did the ending to No Country For Old Men leave you cold and confused? Here's why. "You can't help but compare yourself against the old-timers. Can't help but wonder how they would've operated these times." Loved the movie. Didn't get the ending. Those words were shared by many a movie-goer upon viewing Joel and Ethan Coen's 2007 Academy Award winning film No Country for Old Men, but perhaps little do they realize that's exactly how the filmmakers wanted it to be. To understand this, we must first realize that all good stories - in addition to a compelling plot - have a main character that provides the audience with a number of important functions, perhaps none more so than perspective. Perspective is what allows us to have empathy for characters, giving us the opportunity, safely seated in the audience, to experience the trials and tribulations of someone else while figuratively walking in their shoes. Emotions, in turn, are what give meaning to a story - often attached to thematic elements and what "the story is really about" vs. the constructs of a story in terms of events. Without emotions, there's no meaning and a story without meaning is merely a sequences of events - plot - that ultimately has nothing to say. Perspective, however, is what allows us to connect to a character, often seeing and feeling their transformation as events unfold, forcing them into a series of decisions and actions that result in either a fundamental change within them, or their causing a change to the world, and/or others, around them. 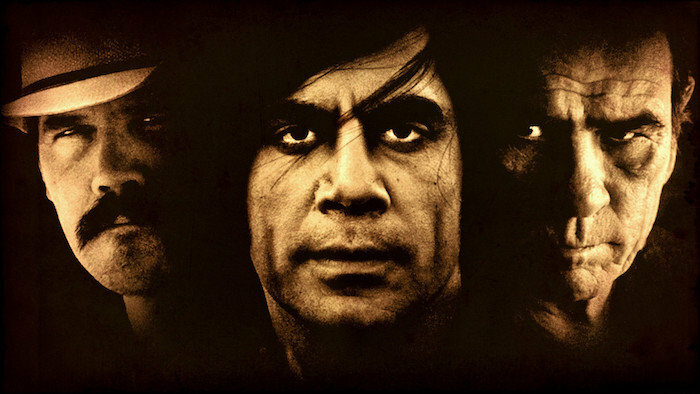 Tommy Lee Jones as Sheriff Bell in No Country For Old Men. In No Country for Old Men, some of the audience confusion can be attributed to the fact that we essentially have a protagonist, Llewelyn Moss, who isn't the main character. What's the difference you might ask? A protagonist, by definition, is typically a character who drives the story's plot and seeks a resolution to its central problem. A main character, a separate story function but often paired with the protagonist function in American cinema, provides perspective. Choosing who the main character is in a story is perhaps one of the most crucial decisions one can make because it's the character whose eyes the audience will see the story unfold and experience its emotional core, and themes, through. Examples of these functions can be found in The Shawshank Redemption and To Kill a Mockingbird, where Red and Scout respectively serve as the main characters from which we experience emotions through. Changing the perspective to another function (character) in the story can greatly change its meaning (simply imagine what kind of story To Kill a Mockingbird would be had it been told through the eyes of Boo Radley). In No Country for Old Men, we're essentially bystanders to the events unfolding as Llewlyn Moss drives the plot. From finding the loot to his fateful decision to bring a shooting victim water hours afterwards to his attempts to outrun Anton Chigurh, we're observers watching him - but never really encapsulating a worldview from him. That function of the story comes from Sheriff Bell who, just like Red and Scout, provides a voice over narration which is our second clue as to whom the story is really about (the first being in the title itself, No Country answering "what?" and for Old Men answering "who?" Another popular complaint with some audience members that parlayed confusion was having Llewelyn's death occur offscreen. To them, it felt a bit of a cheat to have so much story and time invested in a protagonist only to have him meet his fate away from the camera - but this in fact is central to the story's thematic structure because we, the audience, learn of his death alongside Sheriff Bell, thus experiencing the confusion and shock just as he did. That the film's only use of non-diegetic soundtrack score happens at this precise moment heightens our emotional response which is seen, and felt, from Bell's perspective. "The crime you see now, it's hard to even take its measure. It's not that I'm afraid of it. I always knew you had to be willing to die to even do this job -- not to be glorious. But I don't want to push my chips forward and go out and meet something I don't understand. You can say it's my job to fight it but I don't know what it is anymore." Thus Sheriff Bell further laments in the opening voice-over, providing the audience with a hint of both the confusion, the theme, and more importantly the ending to come which encapsulates what the story is about thematically. It's no coincidence Bell's newly retired: this world isn't the same one when he began his job as Sheriff at the age of twenty-five - a time when his father was Sheriff elsewhere, too, a time long gone bye when the world made sense. While much could be made about the interpretations of his dreams, the reality is Bell has retired not knowing anymore what the "it" he was fighting was - and that scared him because he no longer understood it. Without understanding, meaning crumbles away leaving only fear, confusion, doubt and ultimately meaninglessness. And therein lies the beauty of the ending: we're confused and still searching for the story's meaning, thinking perhaps it doesn't make any sense - yet there we are, right where we were meant to be in Bell's shoes, feeling the very same way he does. All we need to do is see it from his perspective as an old man who longs for simpler times when things made sense. As an old man who finds more comfort and logic in his dreams than he does in the violent world he's withdrawn from while awake - a world that's ultimately proven to be no country for old men. Previous Previous post: Going deep inside the underbelly of Sicario. Next Next post: Two elements each of these seminal horror movies since 1960 have in common, Part I.